FFmpeg filters are a powerful tool that can do almost anything you can imagine with multimedia files – changing an AV file’s format or quality, extracting audio, adding watermarks, and so much more. Installing FFmpeg is simple. Just download and install a pre-built binary for your operating system. Select the hard drive where Windows is installed (typically C:) and create a new folder named “ffmpeg” at the base of this drive (where you see folders such as Windows and Program Files). Extract the contents from the downloaded file to the newly created C:\ffmpeg folder. 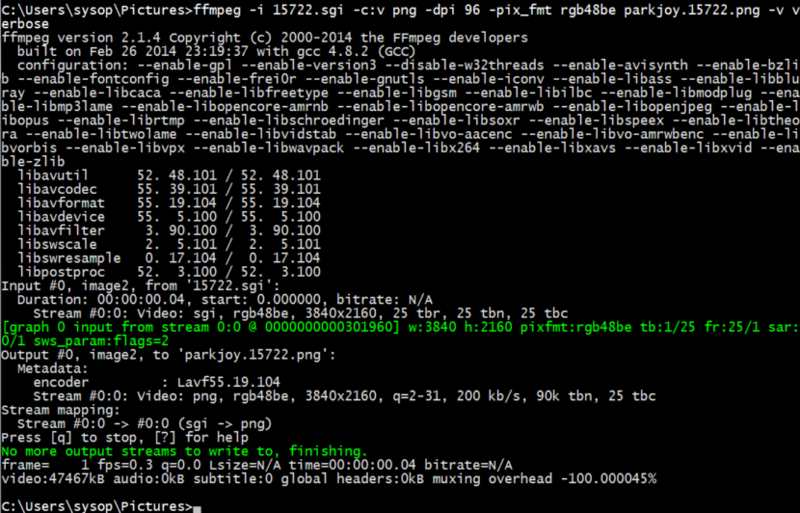 Be sure to alter the command so that the path reflects the folder path to ffmpeg\bin. Manually edit the Environment Path Variable. Instructions available here. This command passes the original video (video.mp4), and an overlay image (watermark.png) as inputs, through the overlay filter, and saves the output as output.mp4. The overlay=10:10 specifies the positioning of the overlay image in pixels – 10:10 puts the video 10px from the top and 10px from the left. (x:y coordinates). That’s it! All very simple. Please leave a message below if you have any questions or your own examples.